Andrea Cartwright, Consultant Nurse- Nutrition Support, Basildon and Thurrock University Hospital NHS Foundation Trust , has been named the 2011/12 Enteral/Parenteral Nutrition Professional of the year. The prestigious CN Awards recognise the significant contribution organisations and individuals have made in the field of nutritional care. 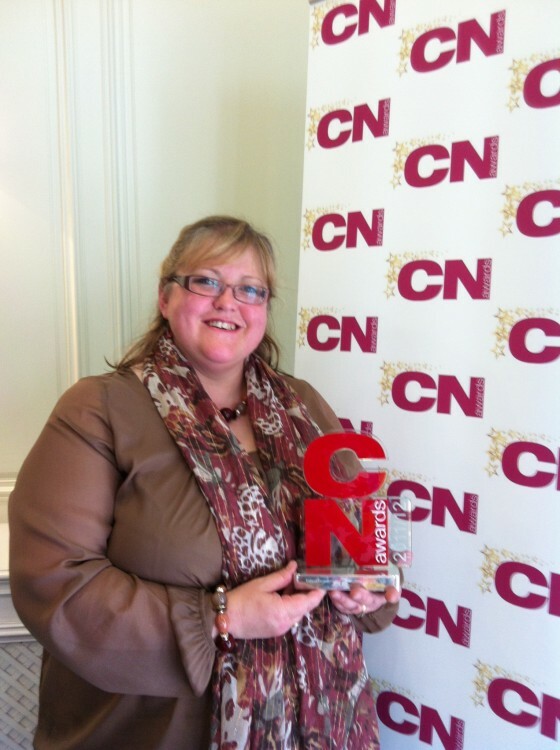 The CN Awards were voted for by the readers of the CN magazines, of which many of those are NNNG members. This makes the award so much more special because Andrea was voted for by professionals associated with nutrition.